It’s April 23, 2012. It’s my first anniversary with WordPress as a blogger. In celebration, I like to share an important highlight of my career as a physician, as a pediatrician. Most commonly, a candidate should first earn a bachelor’s degree from a school registered with CHED. It used to be that there are courses which are pre-medicine course. But nowadays, any course will do, and this will of course entail 4 to 5 years of your academic life. I remember I had a classmate whose premed course was Education, Engineering, Accountancy. The most common premed course during my batch then was Biology, Medical Technology, Pharmacy and Physical Therapy. When you are about to graduate with your bachelor’s degree, you take the examination “National Medical Admission Test, NMAT.” The different medical schools have different cut off for NMAT’s scores. Then you enroll with a medical school and this will take another 4 years of your life. In medicine, no matter how genius you are, there is no such thing as “acceleration” to the next level. It seems indeed that we, candidates, have to undergo through each process of preparation to be a doctor, no short cuts. Through second and third year (from the school where I graduated from, Saint Louis University), we are already exposed to patients through our decury or preceptorship sessions. We talk to parents, interview them and arrange the data in what we call “history.” It is a tedious process and as a medical student, we hone that skill to be able to come up with a precise and concise but inclusive medical data that actually forms a big part of the diagnosis of a patient’s disease. We are also taught how to do physical examination of our patients, from pediatrics, obstetrics, surgery and medicine. Then our fourth year is dedicated to hospital works. That is the time when we are now assigned our own patients while we rotate from department to another. We usually spend either 15 days, 1 month or 2 months with one department. If during our 3rd year decury sessions, we can spend 2 hours doing history and physical examination and submit the report after 48 hours, during our 4th year, we should do it as quickly as possible as we should finish the patient’s data within 2 hours and have it incorporated in the patient’s chart or else, we earn demerits that we have to offset before we get cleared and graduate. If that patient is critical or what we commonly call as “toxic” the more that the data should be in in just an hour or less. We had to be quick or else, we would not be able to finish one report and we again are on deck for our next patient. Besides accomplishing that patient’s data, we also monitor our patient’s status and refer to our more seniors (interns, residents, consultants) when we observe something unusual or different. There’s also a patient’s conference that we need to prepare for, a lecture in some, audits/case presentation, morbidity/mortality conferences too amongst others that we listen to, (which during clerkship we consider disturbance for it takes time from us finishing our paper works) that actually serve as good venue to learn about a case which we don’t usually encounter in our daily life. These conferences are the venue for our consultants to share their expertise on these troublesome medical conditions that we chose to present. 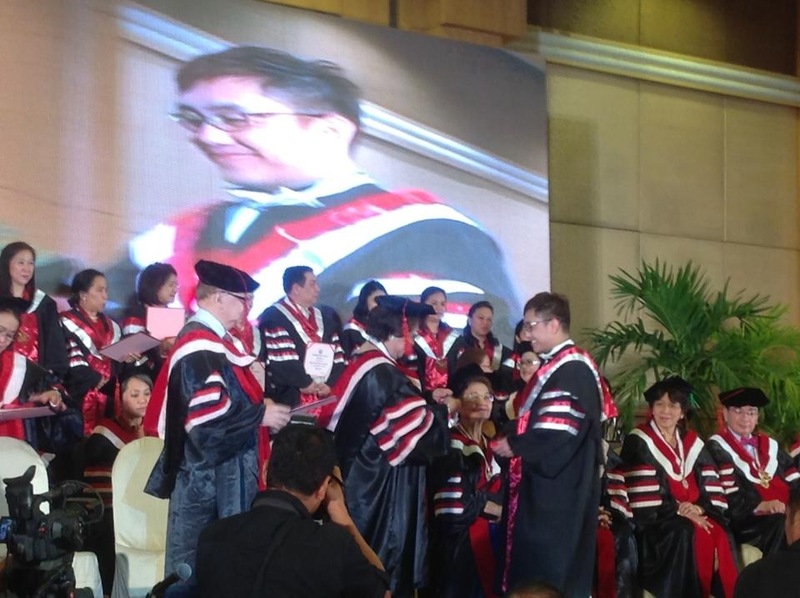 After finally earning the degree doctor of medicine, it’s not yet over. We had to undergo one year of internship at an accredited training hospital. We undergo “matching” with hospitals of our own choice but if we were not chosen, “matched,” then, we had to find other options. As an intern, we are now better off than the 4th year medical student selves we had been, as we already can manage some conditions, but still under the supervision of our residents. After a year of internship, we are now ready to take our licensure exam. In the University of the Philippines, they offer a different program called Integrated Liberal Arts Medicine or INTARMED. This is a straight 7-years course which includes 2 years basic medical sciences, 4 years medical proper school years and 1 year internship, before the students graduate. I have not known about this program back then as we don’t have other medium other than transistor radio where I lived. Once a doctor passes his physician licensure exams, he can have the option to start working as a community doctor, or undergo residency training in his discipline of interest for another 3 or 4 years. After finishing the residency, we are now called “specialists.” From my end, I decided to pursue pediatrics. This took three years of my life. After specialization, we are now eligible to join the societies of our own specialties. But to be able to be accepted, we have to undergo series of examinations. In our case, pediatricians, after graduation from residency, we can already take a written examination after fulfilling the requirements set by the society. After passing, we are still not full-fledged members of our society. We have to undergo two-years of private practice, while still attending post-grad courses, conventions, conferences as we need to fulfill certain CME (continuing medical education) units required before becoming eligible for the second part of exam, the oral part. During our oral exams, we usually have to go through 3 panelists. After satisfactory passing marks, we are now considered full-fledged DIPLOMATES of our society, Philippine Pediatrics Society, and of course, can now be called “consultants.” Of course, there are privileges that come with it… But this is not the end. We still need to continue earning CME points per year. After 5 years, with a research paper done during the years you were a diplomate, or after 10 years of being a diplomate in good standing, the diplomate is now eligible for reclassification into FELLOW. Others venture into further training, “subspecialization.” I myself went into post-residency fellowship training in Neonatology at the University of Santo Tomas Hospital, requiring additional 3-years of training, hospital duties. 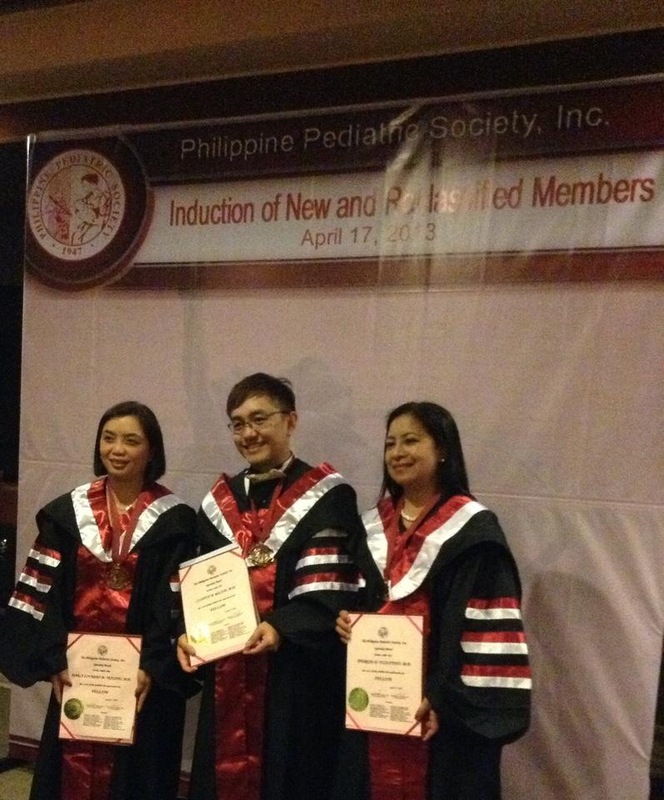 After graduating from fellowship training, we also undertake an exam (both written and oral) before we can become a member of our own subspecialty society, the Philippine Society of Newborn Medicine, PSNbM. At present, I am a DIPLOMATE, of our subspecialty society. (And if I remain to be in good standing as such, after 5 years, I will be eligible to be reclassified also as FELLOW). And this, I have come to achieve. As a fellow, there are more duties and responsibilities, benefits, and privileges that comes along with it. 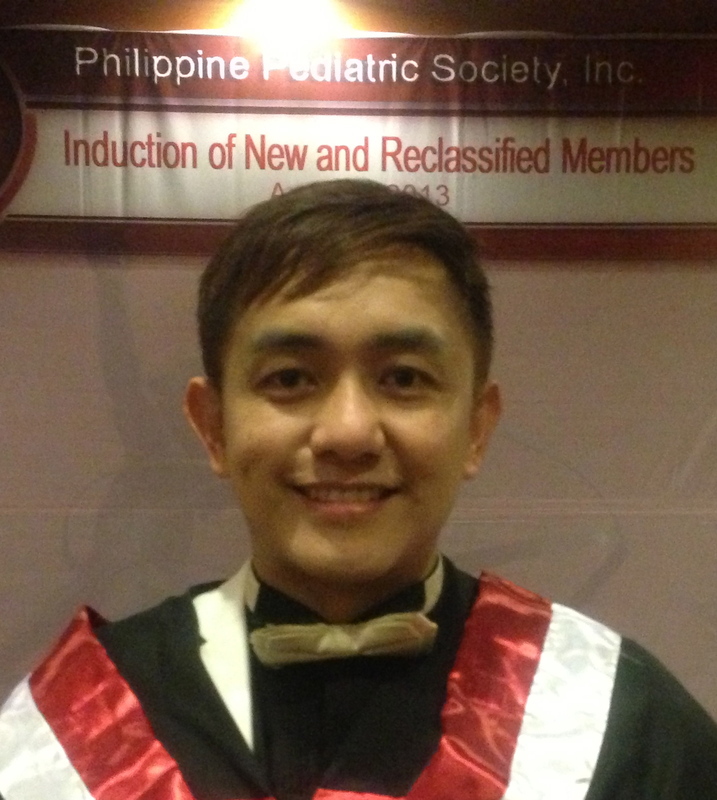 So yes… I am now a Fellow of the Philippine Pediatric Society and I was just inducted as one last April 17, 2013. My complete title is: Clinton Balud, M.D., FPPS, DPSNbM. And in a few years, it will soon be, FPSNbM as well. 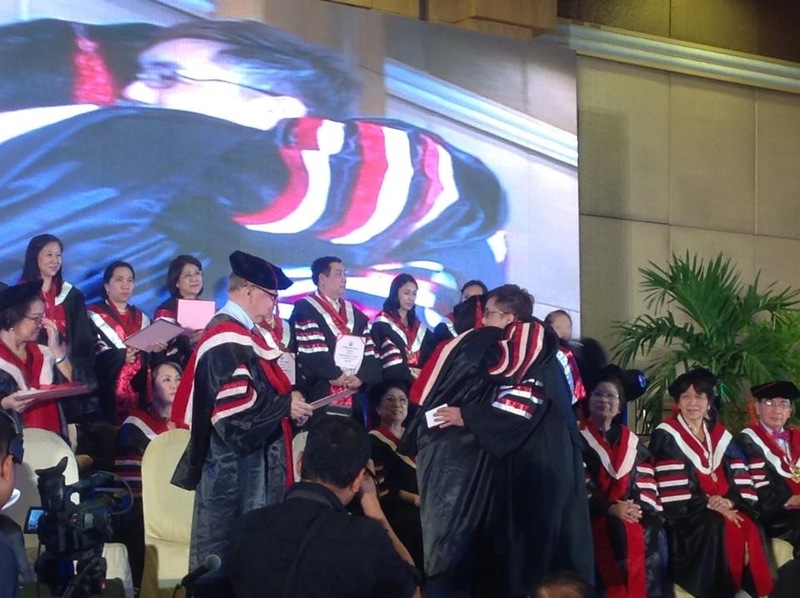 That big hug I felt as an expression of extreme joy and love from the UST and PPS communities, after surviving my heart attack, and being able to reach this stage in my career as pediatrician. 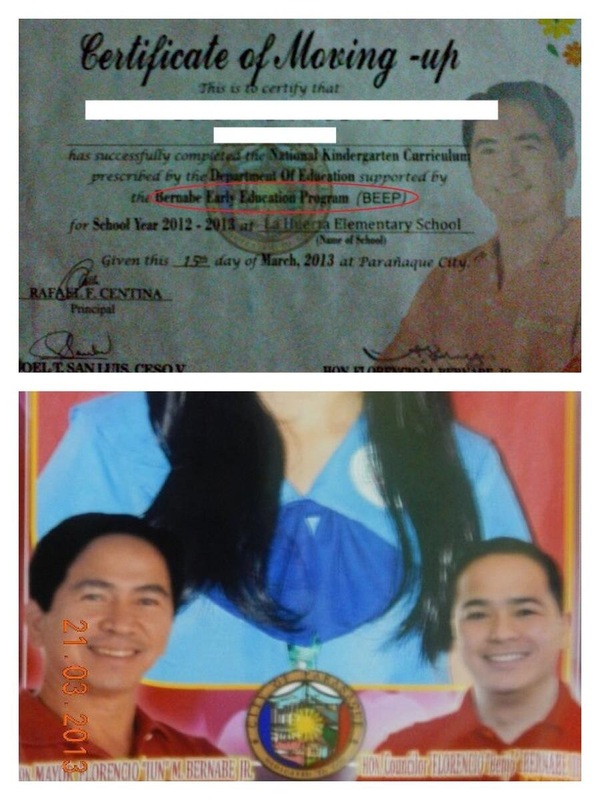 The 3 Fellow Inductees from Baguio City. Malou Trajano at my right, my dancing partner, and Therese Tolentino at my left, a trusted friend. 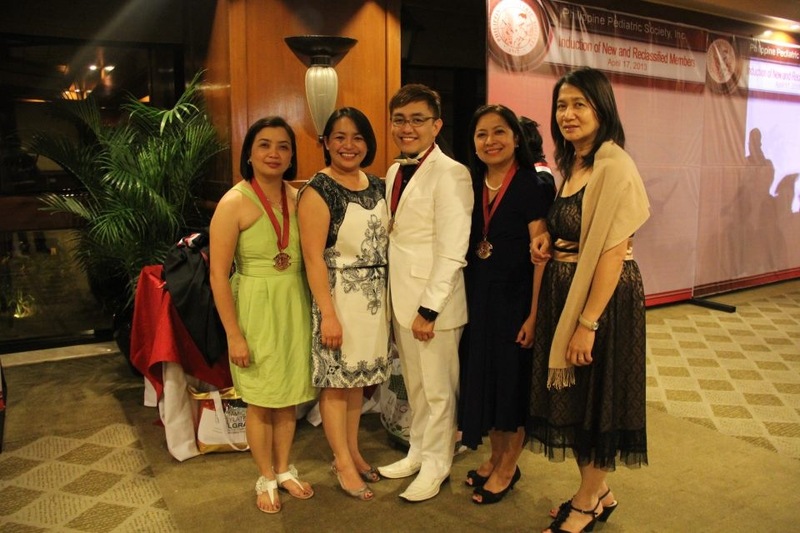 With Dr. Mae Andres, one of the new Diplomates from Baguio City, and our PPS Norlu Chapter President, Dr. Rain Runez. Others ask, how long does it take to be a doctor… I’m here to say, it is not in the number of years you stay within the four walls of your school. Medical education… is lifetime. Warrant of arrest, na-issue para kay Gwen Garcia matapos di sumipot sa araw ng kanyang arraignment. Matapos siya magpakita sa piskalya, nag-plea siya ng NOT GUILTY. Governor, yong totoo, pundo niyo personal yan? O galing sa kaban ng probinsiya? Ano po ba ang napakalaking kasalanan ang nagawa ng mga estudyanteng sa Cebu at kailangan sila magdusa pamhabambuhay sa mukha nyo sa kanilang medals? Kayo po ba ang nagpaaral sa kanila, Governor? Did he spend his personal money for this? Or was it the LGU funds? 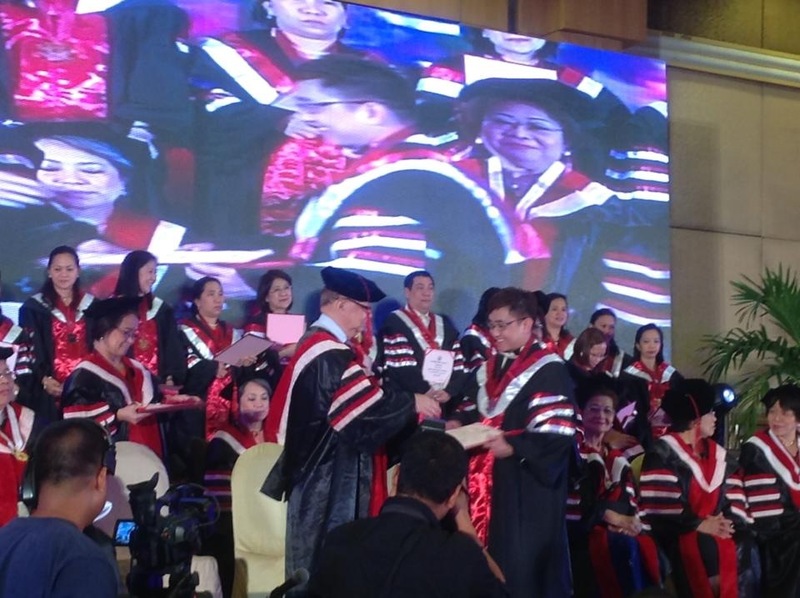 Hiyang hiya naman kami sa yo Mayor, parang kayo po nagpaaral sa amin at habangbuhay na nakamarka ang kakapalan ng mukha nyo sa aming diploma. If there are persons I’d like to honor in these days in the field of education, I would give the laurels to Desilyn Banking of Baguio City. She is, first and foremost, a wife and a mother. She first applied as a house help until she became a janitor in the school where she also studied. A poor woman, with other responsibilities as a wife and a mother. Imagine these roles, rolled into one person. And above all these responsibilities, still strived to work outside the family to educate herself. Now, at 43, she, together with a daughter graduated from high school. Very well said maam, hats off! Truly inspiration. Indeed, if there’s a will, there will be many ways to achieve those dreams. Congratulations Ms Desilyn and wish you more success.